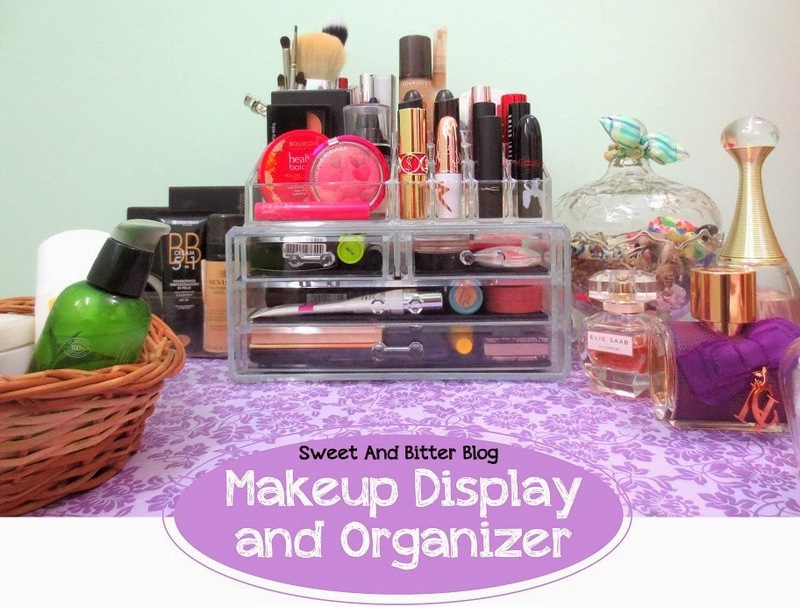 So, here is a quick post on my Acrylic Makeup Display and Organizer which have tiered lipstick stand and drawer cabinets. They are abundantly available at Ebay.com for exorbitant price but I purchased from a local store at a far lower price. The drawers comes out completely so, they are easy to clean. Organizing was also easy. 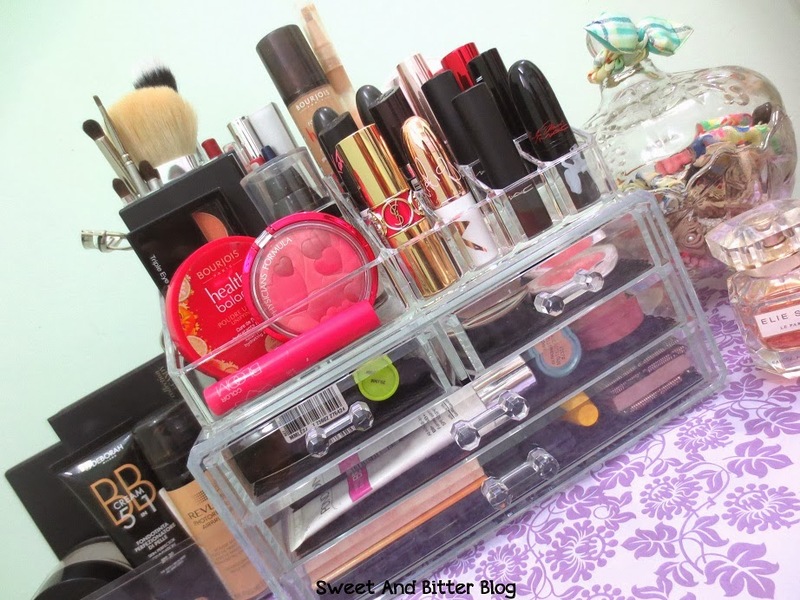 They cannot take in much because of low height but my Maybelline BB Stick and MAC Blush can easily lie down in it. And if you thought it was a ONE big thing then sorry to say you are wrong. 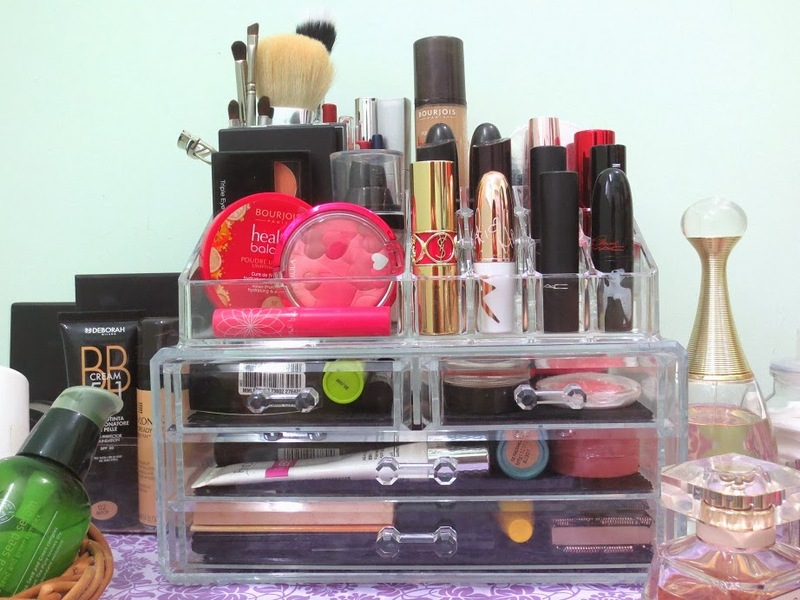 They are two in fact - one is the tiered lipstick and things stands and other half is only the drawers. But, they are made to fit for each other perfectly - like made for each other. 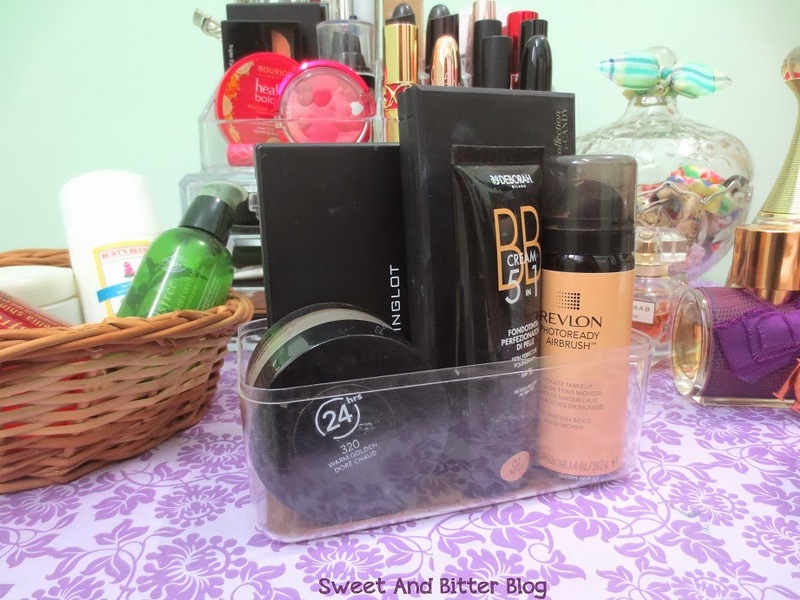 I also use the Acrylic box that you get with Ferrero Rocher to keep the palettes etc. Jute/bamboo baskets for other things and the glass pot type thing to keep nicks nacks. 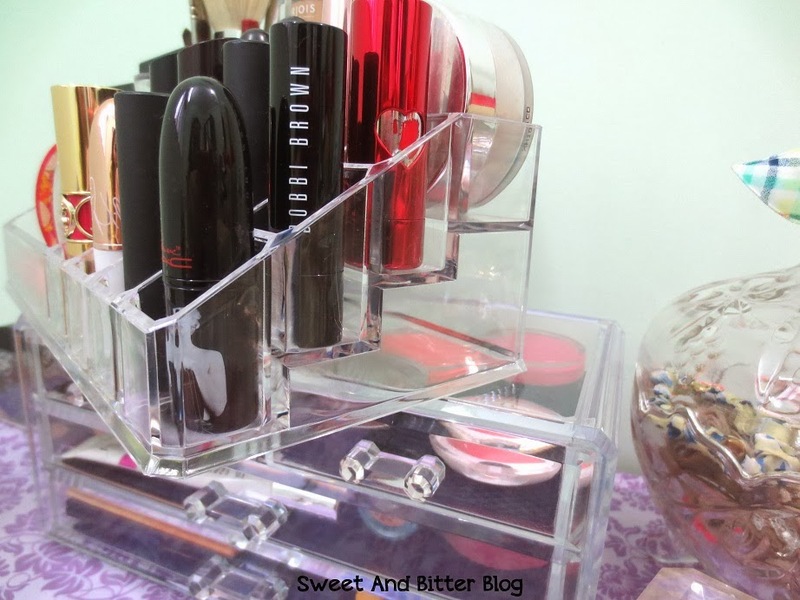 I also have another lipstick holder shown Here. 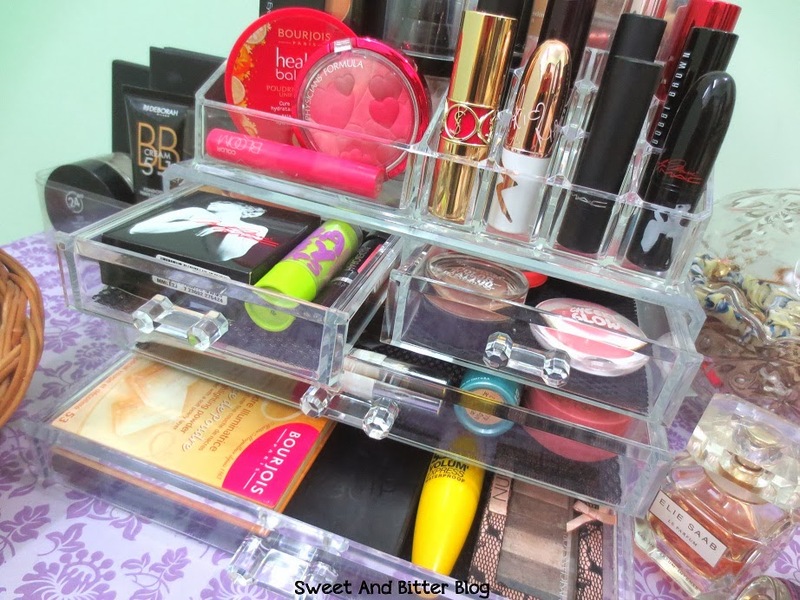 If you live in Kolkata then I have a good news, otherwise head to Ebay.com, search for 'Acrylic Makeup Organiser' and then you might land on a ebay shop selling this for around 45$ (~ Rs 2,800) like HERE. But for something which is big, bulky and might break, you will have to risk a bit. Or try to visit any place which keep decorative and fancy plastic thing and take a picture what you need. Someone might be able to help you with this. But, if you live in Kolkata, go to Vardhan Market, Camac Street - your one stop destination for all happening things, if you are ready to pay. There is a shop around a corner in the middle of ground floor which sells all kind of plastic, acrylic and home decoration items ( Corner in Middle? I may sound confused but you will know what I mean when you see the shop). OR just enter ground floor of Vardhan Market and ask anyone "Where is the big store which keeps plastic items?" and anyone will lead you to the shop. They charged something around Rs 1,900 for this but I got it at a lower price. Frankly, Rs 1900 is a good price for this but do bargain a bit to reduce the price. Under no circumstances tell at the price at which these are sold online! Because I bargained using the point that these are sold at much cheaper price online. I am sure there will be stores in New Market, Kolkata as well where you can get in at a lower price. If you have to time then do pay a visit there and let me know where you found it. 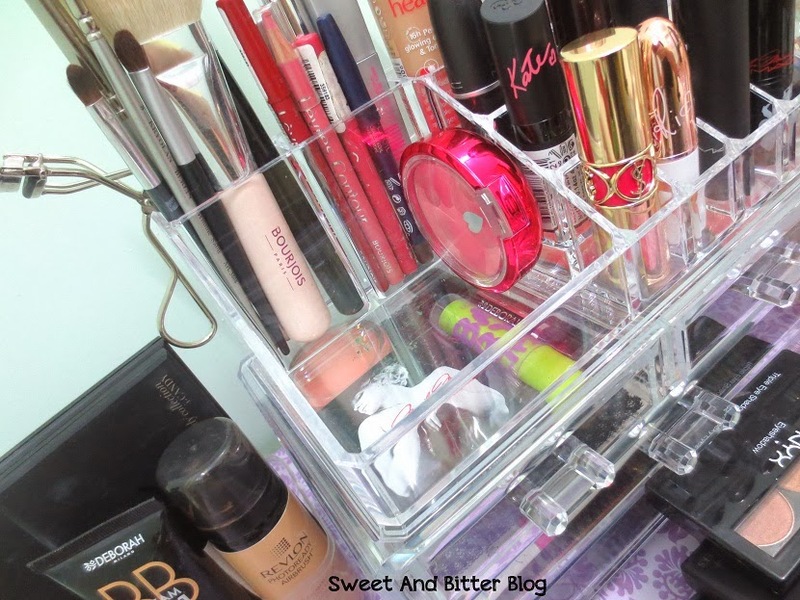 I need a bigger drawer now lipsticks as the big white plastic one I have is no fun anymore.